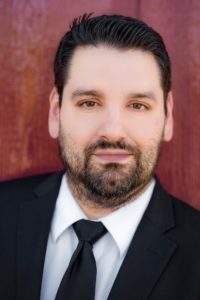 A native of Southern California, tenor Javier Gonzalez holds a Master’s degree in vocal performance and choral conducting from the University of New Mexico where he studied under soprano, Leslie Umphrey. He has been described as a “bold arresting tenor with a shining lyricism.” On the operatic stage he has performed the roles of Javier in Luisa Fernanda, Tamino in The Magic Flute, Canio in I Pagliacci, Pinkerton in Madama Butterfly, Don Jose in Carmen, Roberto in Le Villi, Edgar in Puccini’s Edgar, Laerte in Opera Southwest’s revival production of Amleto and the role of Jesus in the acclaimed operatic tableaux, Oh My Son by Spanish composer Marcos Galvany. Mr. Gonzalez has also been a finalist in the Washington National Opera’s Domingo-Cafritz Young Artist competition, first-place winner in the Barry Alexander International Vocal Competition in New York City and first place in the UNM concerto competition and the New Mexico/Oklahoma/Texas regional NATS competition. He has performed with various orchestras around the country such as the New Mexico Philharmonic, the New England Symphonic Ensemble and the Alexandria Symphony Orchestra. He has appeared on such stages as Carnegie Hall, The Kennedy Center, Dvorak Hall and performed with such artists as Placido Domingo, John Rutter and Branford Marsalis. Mr. Gonzalez currently serves on the voice faculty of La Sierra University in Riverside, California and is the founder and chair of Live For 1, Inc., a non-profit organization devoted to using the performing arts to engage local communities for the sake, care and aid of refugees in the middle-east. For more information visit javiergonzaleztenor.com and livefor1.com. 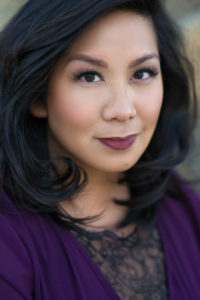 Soprano, Paulette Jumalon, is a graduate of La Sierra University. She has played several roles locally as Rosalinda in Strauss’ operetta, Die Fledermaus, Golde in Fiddler on the Roof and Maria in The Sound of Music. She debuted as a concert soloist in Dubois’ The Last Seven Words of Christ and John Rutter’s The Children’s Mass with the Los Robles Master Chorale, under the baton of Dr. Lesley Leighton. She has also performed as Jane Eyre in Jane Eyre and Elphaba in Wicked. She has attended the renowned Montecito International Music Festival where she was the recipient of a full scholarship merit award and studied under Dr. Raejin Lee, famed soprano Faith Esham and Professor Leslie Umphrey. She has recently joined the Montecito faculty as a vocal coach and stage director for the festival’s annual stage production. Ms. Jumalon has been the recipient of several awards where she placed first and second place in both the Riverside Opera Guild Vocal Competition and the Marguerite Marsh Vocal Scholarship Competition respectively. She enjoys teaching young vocal students in her private studio in Riverside and is an active teacher at the Huston School of Music located in Yorba Linda, CA. Her love and devotion to humanitarian causes and mission work has allowed her to travel to Japan, the Philippines Thailand and Jordan as a music missionary, or as she calls herself- a musicianary. She currently works as creative arts director and is an active performer with Live For 1, Inc. an organization dedicated to using the performing arts to engage local communities for the sake, care and aid of refugees in the middle-east.